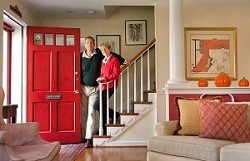 Are you over 65 and Considering Selling your Home? New superannuation downsizer measures may allow you to contribute a portion of the sale proceeds from your home to a complying superannuation fund, provided certain requirements are met. Historically it has been quite difficult for older Australians to contribute and increase their superannuation balances once they have retired due to having to satisfy a “work test” once attaining age 65. However, one of the more welcome changes in this post-super reform era is the ability now to contribute up to $300,000 each (or $600,000 for a couple) of “downsizer contributions” into a complying superannuation fund without having to satisfy a work test. The new “downsizer contribution” is excluded from the definition of a concessional and non-concessional contribution and therefore will not count towards the respective contribution caps. Do you think you may be eligible? It is important you obtain the right advice as you may not necessarily have to “downsize” or purchase another property to be eligible to make a downsizer contribution. what your SMSF trustee responsibilities entail (SMSFs are not for everyone). Please note the information in this article is general in nature and should not be considered advice. Davidsons is not licensed to provide any financial product advice nor make any recommendations in respect of any financial product. Therefore we cannot recommend that you make a contribution to your superannuation fund. If you require such advice, you will need to consult a financial adviser who is licensed to provide financial product advice before you make a decision on a financial product.